MOSCOW, September 22. /TASS/. Russia estimates its losses from steel and aluminum tariffs introduced by the United Statesa at $600 million, Russian Economic Development Minister Maxim Oreshkin said in an RT interview. "We have already calculated the damage done to our economy by this decision of the United States, it stands at about $600 million. We have already compensated $100 million by the duties that have been introduced," he said. In July, Russia approached the World Trade Organization (WTO) with a request to hold consultations with the United States concerning steel and aluminum duties imposed by Washington. Russia claims the US duties of 25% and 10% on imports of steel and aluminum products respectively are inconsistent with provisions of the WTO's General Agreement on Tariffs and Trade (GATT) 1994 and the Agreement on Safeguards, the WTO press service reports. This is the seventh complaint initiated by WTO members against US duties on steel and aluminum. China, India, the European Union, Canada, Mexico and Norway filed similar complaints to WTO earlier. Consultations provide an opportunity to discuss the matter and find a solution without further proceedings. 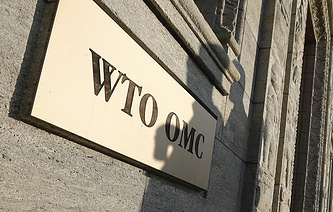 However, if they are unsuccessful, the complaining party will have a right to request establishment of a panel of arbitrators after 60 days, WTO says. According to Oreshkin, the first round of consultations with the WTO produced no result. Russia introduced extra duties of 25-40% for US goods as a response measure. Russian duties cover certain kinds of road construction machinery, oil and gas equipment and optic fiber.